This article was started as my response to a comment placed under a video on my YouTube channel. It is too long to post in the description box under one of my videos, and is even too long to post as a comment under the video. Hence, I’ll post it here and link to it under videos and in comment threads, as needed. I also will be back to this article from time to time editing in more. [Editing in on November 13 2018] I have just uploaded the seventh video in Curt Kruse’s “Forensic” series on the assassination of LaVoy Finicum. Here is the updated listing of all his “Forensic” styled videos. I am placing them here in reverse order, and suggest that discerning viewers begin with number 7 and then work down the list in reverse order. I know the man who made the above video and the other three which go with it. (See below.) I have met him personally. He has given me permission to include all four videos in the DVD which my study group, The Mental Militia, has produced to help Jeanette Finicum pay for her legal team’s expenses in her wrongful death lawsuit. All four of the following videos are together with other YouTube videos related to LaVoy Finicum, including the FBI’s footage and the footage shot inside LaVoy’s truck by Shawna Cox during the final moments of this assassination. 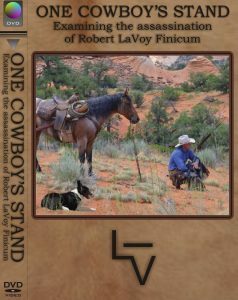 Those of you who want to help Mrs. Finicum seek justice for her husband’s murder can help by purchasing this DVD. My thanks to all who come to her aid by buying anything at her online store. The Mental Militia did not charge Mrs. Finicum for the videos we created and sent to her. We gave them freely to help her with her expenses. The whole price for each video you buy goes straight to Mrs. Finicum. See below for an online link to each of the four videos in this series. All four are on my channel here for free viewing. Someone calling himself “anmore100” left a post under one of the videos in this series which claimed that LaVoy Finicum felt he was “above the law”. Here are some basics regarding “the law”. The highest law of the land is the United States Constitution. That Constitution is the written word and will of the American people. The Constitution sets clear limits on everything the Federal government is supposed to do. It also gives the Federal government its marching orders, so to speak. One of the things the Constitution does require the Federal government to do is to protect all citizens in all of the united States against any State-level so-called “laws” which would violate a citizen’s “Unalienable Rights” (as quoted from Thomas Jefferson’s Declaration of Independence which is one of our nation’s founding legal documents). All so-called “laws” written subsequent to that Constitution must, by law, be pursuant to the content, meaning, and spirit of the Constitution, or they are not truly “laws” at all, and have no effect in reality. In other words, if some State in our Union decides to pass a law requiring all of its citizens to shave their heads, that new “law” has no lawful standing, because it would violate citizens’ protected rights as outlined in the Bill of Rights, which is part of the Constitution. Now while you’re thinking about that, let me recount for you a chain of events which led up to the assassination of LaVoy Finicum. I think I can show that it was law enforcement which thought it was “above the law” on the day they murdered LaVoy Finicum. It is important to understand that a Sheriff had invited these men to come speak in his County, the next County above where they were protesting publicly about BLM, EPA, and US Forest Service violations of ranchers’ and farmers’ rights as citizens, and also protesting about Federal abuse of States’ rights. That Sheriff had assembled several hundred people at the meeting place. The number of citizens in John Day who came out for that meeting is estimated at around four hundred. LaVoy was on his way to meet with that Sheriff and speak to that crowd. But as we learned in the subsequent trials in Portland, Oregon, the government had fifteen (15) paid informants/provocateurs (I call them “spies”.) at the Malheur Wildlife Refuge, including the provocateur who set up the gun range there so the media could play up the fact that cowboys usually carry their guns with them and turn that into a militant news item to mislead the public about why the cowboys were protesting in the first place. The fifteen informants/provocateurs had a steady communication with the Oregon State Police and the FBI. So the “law enforcement” community knew in advance everything that the cowboys were going to do regarding this trip to John Day township. But the Governor of Oregon and two of her Oregon U.S. Senators were horrified that LaVoy and the Bundy brothers would be spreading their information about land management conflicts between States and the Federal agencies such as BLM (Bureau of Land Management), which had already been exposed for corruption at the Bundy Ranch down in Nevada in 2014. The Senators called the message of Constitutionality being necessary for any Federal agency’s activities “radical” and “terroristic”. The Governor herself strongly requested that the FBI would “not let that virus spread out of Harney County”. The FBI was helping local and State law enforcement handle the situation, which was nothing more than a bunch of cowboys using a Federal wildlife refuge office to stage their protest over BLM mischief. By mischief, I mean situations such as what drew LaVoy up to Oregon in the first place. That had to do with the BLM trying to take a ranch by trumping up false charges against a rancher and his son, the Hammonds. You may recall that about a month ago President Trump issued a presidential pardon for Mr. Hammond and his son, who were wrongfully placed in prison for five years on trumped-up charges including “terrorism” charges. That was the dirty work of the BLM and the NGOs for whom BLM now works. So the Governor of Oregon pressured the FBI to work with the Oregon State Police to shut down LaVoy’s message of States Rights and citizens’ rights. The BLM went about spreading the lie that these cowboys who were protesting with a staged public occupation of the wildlife refuge building were actually terrorists, criminals, and were what Senator Harry Reid called “domestic terrorists”. They were not, but the media painted them to be that because the powers that be wanted the cowboys to be demonized in the public eye. The FBI sent in their HRT snipers and the OSP sent in their SWAT people and other law enforcement agencies also took part in publicizing the official government story that our cowboys were dangerous radicals who dared to exercise their First Amendment rights while also exercising their Second Amendment rights. In case you did not know this, most all cowboys in America’s western States do carry their guns with them everywhere they go. It is our culture, and it is protected by the highest law of the land. You also must recall that the First Amendment protects all citizens’ right to peacefully assemble and to redress grievances to their government. That is what our cowboys were doing at the wildlife refuge. They held daily press conferences, and they spoke at meetings in Burns, Oregon, which was some miles up the road from where they were camping out in that ‘federal’ facility. So that is some background, but you should also know this information regarding the fateful day on which OSP, with the assistance of the FBI, murdered in cold blood Mr. LaVoy Finicum. First thing you should know is that LaVoy Finicum had never had any trouble with the law. He was a family man, a rancher, and had never even had a danged speeding ticket. Perfectly clean record, all his life. Next you should also know that when the two vehicles were making their way up the highway to go meet with the Sheriff at John Day, they passed a rural intersection at which a group of squad cars were laying in wait for them. Because of the trees, our cowboys did not see the squad cars waiting there on the side road until they were going through the intersection. The cowboys saw the cop cars as they drove past them. The cop cars then went in pursuit and pulled a “traffic stop” although the cowboys were not speeding, were in legally-registered and licensed automobiles, and had no open containers or drugs in their vehicles. They had no warrants for any of the cowboys or the two women in LaVoy’s truck. They were not breaking any law. They were going to meet with a Sheriff, for crissakes! But multiple OSP patrol cars pulled them over, with no probable cause, other than the Governor did not want them to get to meet with that Sheriff who had invited them to speak in his County. There is a Fourth Amendment in the Constitution. That one says clearly that government must have “probable cause” before it can interfere with a citizen. Oregon State Police had no legitimate “probable cause” to pull the cowboys over, but OSP did it anyway. THAT, my friend, was the first law-breaking done that day. But further, while LaVoy had stopped his truck on orders by the OSP, the damned cops shot at his truck as it was sitting still there on the highway. That shot at a complying vehicle was the 2nd unlawful action by the cops. It was uncalled for and was a clear provocation. Here is the video you should watch in addition to the one above. In fact, here are all four videos in the sequence in which they were produced. The first one is longer, but is absolutely a “Must See” video which will help viewers here grasp a more complete picture of the truth. To get a perspective on police training in modern America, aside from Ruby Ridge and Waco, recall the SWAT murder of a young Marine veteran at Tucson, Arizona, back in 2011. I have published a five-part series on that murder-by-cop and have shown in that series that the problem is coming from Washington D.C. and its grip on State- and County- and Municipal-level policy. 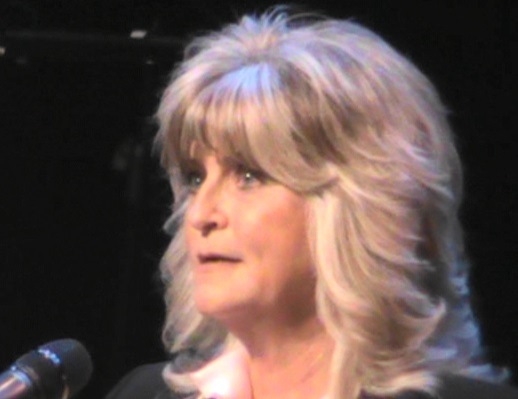 The series reveals how the County Sheriff office lied to the local newspapers, and were forced later to admit their lies. It sorta reminds one of the recent trial of FBI agent Astarita, who was charged in Federal court with lying about the two shots fired at LaVoy as LaVoy was stepping out of his truck with his hands up in the air, clearly visible and holding no weapon. All five parts about the SWAT murder of Jose Guerena are linked at bottom of each part. This series reveals not only the commonly-taught mindset for modern-day cops, but also the source of that mindset, which the OSP and parts of the FBI clearly endorse and use. All you cops and deputies who are suddenly paying attention to this video, above, now have all you need to get a more complete picture of reality as reality relates to your dangerous jobs. We appreciate our police and deputies (but we ain’t so happy about federal law enforcement outside the U.S. Marshall, which is the only law enforcement authorized for the federal government in the Constitution). I want our cops and deputies to be safe, but we also need them to be more than simply tools of corruption, policy-bots blindly following orders, which, regarding LaVoy Finicum’s murder, is the case. Now a lot of cops are replying to this video in hopes of salvaging some public opinion because the murder of LaVoy Finicum is beginning to be more widely understood by the public and it looks bad for “law enforcement”. Mrs. Finicum’s lawsuit will bring all this out. Always remember – you are a human being. You came from a mother and a father and have a family background. You have a conscience unless you rub it out by following immoral government policies. Hang on to your conscience and remember your duty to your fellow man. Exercise “Officer Discretion” when you need to. It’s better than spending the rest of your life bearing the guilt of murdering an innocent man. And for me? I’m an honorably discharged U.S. Marine and veteran of the Viet Nam war. I understand very well about “training”, about inserted “mind-sets”, about following orders, about shooting at people I do not know. I also know, now in my old age, about believing anything the damned government tells me. I was recruited by the Los Angeles Sheriff Department in the fall of 1967 when I returned to the States from Viet Nam and got out of the Marine Corps. The recruiter came onto the Marine base at El Toro, where my plane had landed and I was mustered out of active duty. The L.A. County Sheriff department cleared me to hire, and appointed me a day to report to the training academy. I reported there at Covina, California, and as soon as I saw a platoon of deputy trainees jogging on the grounds in formation while weaning fatigues and combat boots and chanting military-style slogans, I resigned immediately, telling the office that I had just got out of the Marines, had my fill of the military way of life, and did not want any part of militarizing our local cops/deputies. That was in 1967 – now look at where law enforcement has come to. I was editor for Oath Keepers for seven years and in that position I talked with numerous Chiefs of Police and Sheriffs, cops and deputies, for years. Some remain as friends even though I stepped down as the Oath Keepers editor in late 2016. I’ve learned this – the older cops and Sheriffs, those who’ve been out there in the trenches, so to speak, for decades, have seen this very change in how our police are being indoctrinated to be more like order-following robots than conscientious personally-responsible, thinking American men and women in uniform. I am not “anti-cop”. I am anti-murder. You should be too. When the government is lying to you the same way the government lied to me to get me to volunteer for Viet Nam, that government is intent on using your patriotism and sense of loyalty to the advantage of nefarious usurpers who have worked their way into government’s seats of authority. Updating the “Forensic” video collection created by Curt Kruse, which as of October 29 2018 numbers six. Adding Forensic Video of Assassination of LaVoy Finicum number 7 on November 13 2018. This one is titled “The Five Minutes of Shooting”.